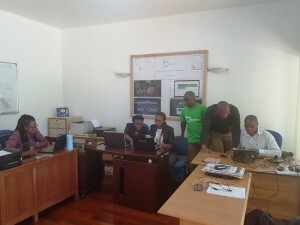 NAIROBI, (CAJ News) – BAMBA, the data collection startup, has closed its first seed investment round after raising US$1,1 million (KSh 110 million) in investment funds, making it one of the largest and most successful seed rounds completed by an East African startup. The global investor base spans Silicon Valley, New York, Washington, Austin, London and many regions throughout Africa. With humble beginnings in Nairobi, the company started with just its the co-founders, Al Ismaili (Chief Executive Officer), Shehzad Tejani (Chief Operations Officer) and Faiz Hirani, the Chief Technology Officer. “Since then, we’ve further expanded to employ 21 full-time staff, along with numerous other field consultants around the world. It’s incredible; we’ve established a global reach, spanning Canada, US, UK, Uganda, Tanzania, South Africa and Nigeria. This is in large part thanks to ongoing support from our investors,” said Ismaili. Bamba is a boutique data collection agency that specializes in innovative solutions for rapidly gathering cost-effective and high-quality consumer insights from emerging markets that can be otherwise challenging to reach. Clients hail from a diverse array of sectors, including market research, consulting, private equity, agriculture, education, health, finance, government agencies and NGOs. “Bamba has made it possible to deliver panel-based projects a lot faster by providing access to highly targeted respondents,” says Arnold Nyakundi of IPSOS Kenya.